If you hunt or fish in a place that has cooler weather like me, even if it’s only part of the year, having a good pair of waders can mean the difference between whether you make it till you catch that wall-hanger, or go home empty handed. Another aspect of using waders is having pants that give you extra insulation and help keep you dry. Alright, now that I have the basic tenets of what a decent pair of under wader pants should incorporate, I will show you a few that I think are worth looking into. This is the warmest pair of wader pants that the Drake company produces. The 10oz fleece keeps you warm even in the coldest conditions. 100% polyester construction has a smooth finish to easily layer other clothes and your waders. These will keep you warm even at 10 degrees Fahrenheit. Four-way stretch fabric makes movement, even in waders, much more comfortable. Designed to pull moisture away from your body to keep you dry as possible. The functional fly makes watering the trees a breeze, and the foot stirrups keep them in place when you pull those waders up. This is an indispensable layer to have in those freezing conditions that I, other hunters, and other fisherman, go out in. 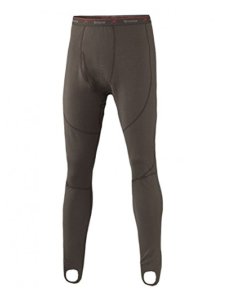 Breathable even inside the waders to pull sweat and other moisture away from your body. Price is mid-range, very affordable for the quality. 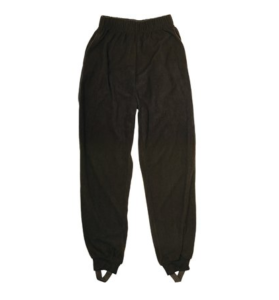 These wader pants are made specifically for fly fishing in cold rivers on cold days. They can be used for just about any situation though, with their 280g non-pilling Redline fleece. Combine that with a fully elastic waist and a full zip fly, and you have a pair of wader pants that can be worn anywhere. Fleece material wicks the moisture away from your body, keeping your mind on the task at hand instead of on how cold your legs are. The tapered design keeps them from bunching up on the legs when putting on other layers. They also come with Lycra stirrups for keeping them in place when layering. Price is a little high, but with the added features it is worth it. These come with two front pockets, and a back zippered pocket, which is the most pockets I have ever seen for under wader pants. This is nice after a long day of hunting or fishing because you would not have to change into another pair of pants if so inclined. These may not be stylish, but they are very functional. These wader pants were designed with comfort in mind. They have loft grid channels to create a micro climate under your layers. While these could be used for fishing or hunting, the Intelliscent technology absorbs and neutralizes odors making this a great choice for hunters. Triple action stealth technology absorbs odor, neutralizes it, and manages moisture. It is 95% micro-polyester and 5% spandex which gives it extra mobility. It is made to keep you warm on the coldest of days. Ultra soft brushed surface traps air to minimize heat loss. These also have four-way stretch panels for easy movement under layers. The micro-polyester’s ability to trap heat makes it possible for these pants to be super thin, but provide maximum warmth. These also have stirrups to keep them in place when layering. These are made of mid-weight fleece for milder temperatures. Micro-fleece construction wicks moisture away from the body to keep you dry. These will keep you warm on those early season outings, or later in the season with a few more layers. Very thin construction makes them comfortable and eases movement inside waders. These are the least warm of any of the previous wader pants. This makes them well suited for mid-range temperatures. 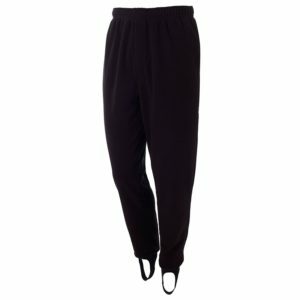 Soft and comfortable with an elastic waist and foot stirrups to ease layering and hold them in place. These are the most economical pair. If you are a hobby fisherman or hunter, these will work great without spending more than you need too. For the more serious sportsman though, I am not so sure these will hold up to that kind of usage. Which Under Wader Pants Come Out On Top? I have had to think about this for a little bit, because features that differ between each pair are important to consider. When it comes down to it, I need wader pants that will keep me warm in single digit temperatures, and keep me comfortable and dry. I also want a pair that is not going to cut into my ammo budget. Considering that the first three pairs all hover around the same price, I would pick the Terramar Sports Predators. They have combined features for hunting and fishing. Their quality and design are superior to the other maker’s styles, with odor absorbing/neutralizing technology, and the four-way mesh stretch panels, these are my top choice for wader pants. A good pair of wader pants is what I use. Don’t let the cold stop you from going out to duck hunt, or fly fish. If you are in the market for wader’s or already have waders, and you need some extra warmth then this article should give you a good idea of what qualities to look for in a good pair of wader pants. The first thing when determining comfort is if they fit under your waders, without being too tight or loose. Finding a pair that fits closely to the skin, and has straps that go around your feet to keep them in place is ideal. This way getting into and out of your waders is a cinch. Finding a pair that is made from material that breathes is relatively easy with the advances made in fabric construction. 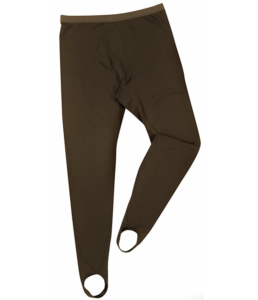 Having under wader pants that wick moisture away from the body is a key component to look for. This will keep sweat from building up, and help with warmth. Some offer odor absorption and neutralize it too. While not necessary, it is a great attribute. When I am out in the cold, the first thing I worry about is staying dry. This is the most important thing in cold weather. Finding a pair that has great ratings in this category will save you in the field. Once you are wet, the cold will cut through you like a chainsaw. Having multiple defenses against moisture is always a good thing when it comes to staying dry. Always check the gram of insulation. This will give you a good idea of how much cold the pants can handle. Six to ten gram of micro-fleece is a good range for just about any weather during duck hunting season, or fishing, even after the ice is on the lake. It’s a good idea to check if your waders themselves are insulated. This is to ensure you do not over insulate, and produce more heat than can be circulated from your body. Being too warm can be just as uncomfortable as being too cold. Make sure the combination is what you need for your particular area and weather. Always keep in mind that adding more layers is possible, but there are only so many that you can take off before your friends start to look at you funny. Like any clothing, checking closely along the hems and stitching provides insight into the quality of the manufacturing process. Loose strings, uneven stitches, and other abnormalities are signs of poorly made clothing. Having elastic in the waist and around the feet is a good sign of quality, too. This also provides a nice fit. Material is another indicator of how long they will last. Fleece is the most common material used because of its insulation and breathable qualities. If the fleece is of high quality it can stand alone, but some add spandex or other stretch material to make layering even easier. Having extra support in areas that tend to take more abuse, like the knees, is a plus too. Extra stretchy areas in the knees and bottom are a thoughtful addition. What, and how much you plan to use your wader pants is something to consider when deciding between quality and price. If you hunt and fish, like me, and you plan to use them often then putting up some extra money is not a bad idea, so long as the money is really paying for better quality. It is not always the case, I have seen under wader pants that are half the price of top name brands, but are nearly identical in quality.